The next big Windows update adds features for Windows Hello, Cortana, Ink, and more. Formerly code-named Redstone, the Windows 10 Anniversary update will be free (and, presumably, mandatory for Home users) this summer. The update will include an expansion of Windows Hello that lets users authenticate with apps and supported websites using a fingerprint or face recognition, and more features for styluses using Windows Ink. For instance, users can open an “ink workspace” with a list of recent and suggested pen-enabled apps, auto-create reminders based on written dates in OneNote, and draw a line on a map to find the distance between two points. The Anniversary Update will also apply to the Xbox One, bringing Windows Store apps to the console and letting retail Xbox One units act as developer kits. 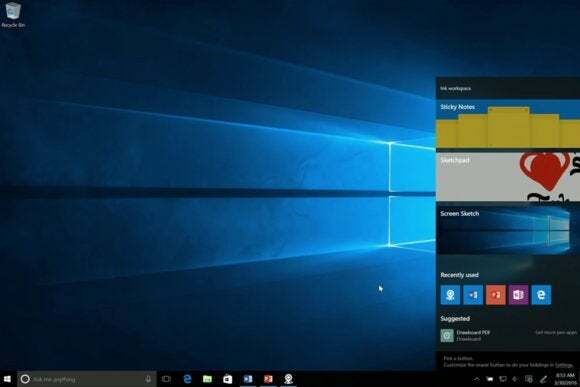 Microsoft also announced some improvements to Cortana, the virtual assistant built into Windows 10. 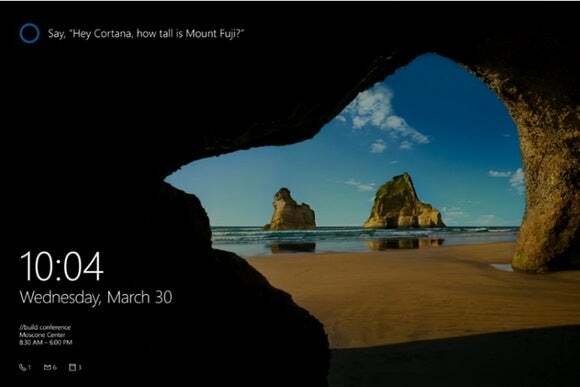 With the Anniversary Update, Cortana will be available on the Windows lock screen, with support for the hands-free “Hey Cortana” voice command. 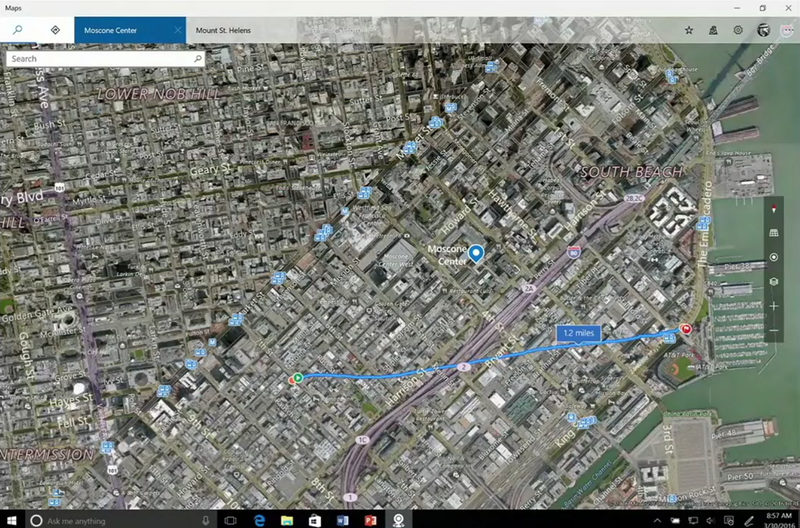 Cortana is opening up to deep linking from third-party Internet services as well. While creating a calendar appointment over lunch, for instance, users might get options to book a table with a restaurant reservation service, or order pick-up. Looking up locations could offer a ride request button from a car service such as Uber. This is a developing story. Stay tuned for more updates from Microsoft’s 2016 Build conference.